Yesterday I emptied my mailbox (P.O.Box 75459, 1070 AL Amsterdam) and discovered a large package from John Koenmans. Based on John’s impact on the soundtrack of my life, he should be mentioned at least once a week. He is one of the most generous people that I trade with. And the content of this latest package serves as a good example. Apart from a pile of CD’s with music that I wish I could all share with you (ever heard Do the robot by Marvulus Mickey ?!? ), John also sent me two LP’s. One LP is too weird too describe in a few words, so I will do that later. 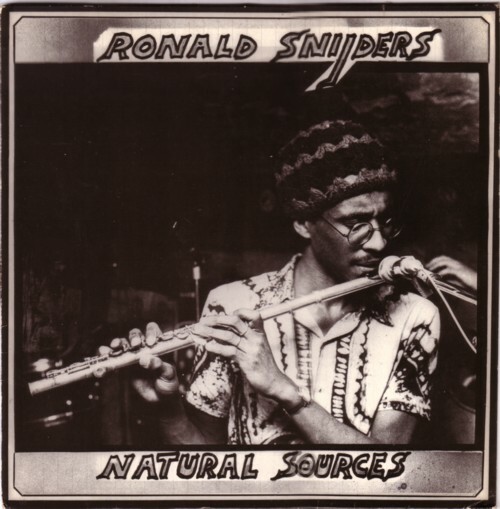 The other LP is Natural sources by Ronald Snijders. I wrote about this LP here. I said that it was sold on e-Bay for more money than I can afford to spend, but that this doesn’t kept me from hoping to find the LP on a flea market for 1 euro. Well, it is two months later and I have the LP, for less than 1 euro. If you think that John is a rich, you are wrong. But like many of the people that I know who have little money, his generosity is of a level that many rich people will find hard to believe. I often feel guilty when I realise what he gives me. But of course, I also enjoy the gifts. I hope that everybody will come across a John Koenmans once in her/his life! Yep, we are all connected in mysterious ways inside. I wish I could feel these connections stronger than I do most of the time. Here is Ronald Snijders with Busy Styreet . And by the way, he plays all the instruments himself on this LP.